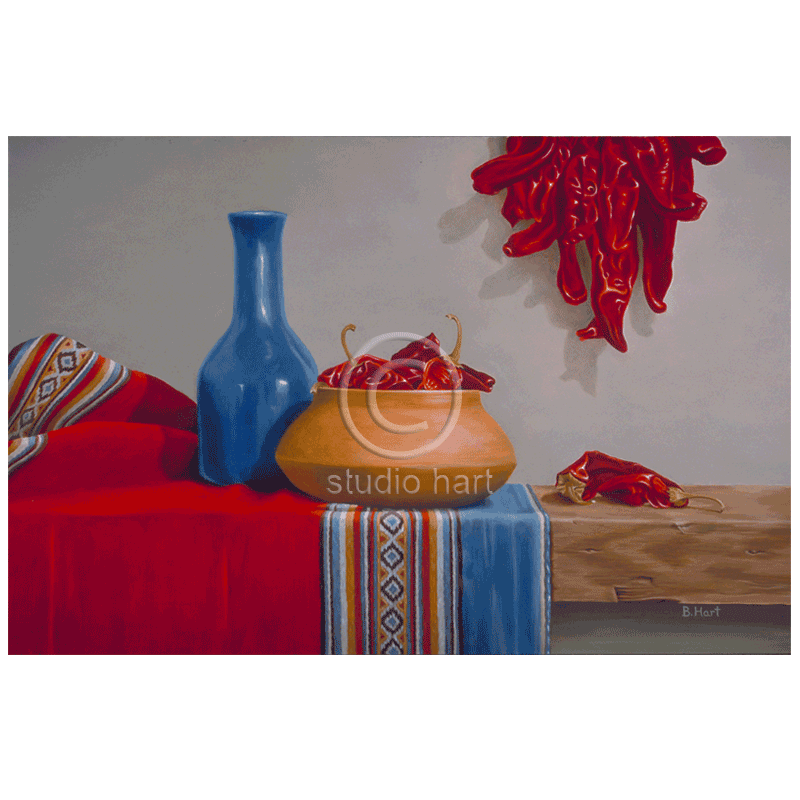 Another print from my southwestern series for Santa Fe. I do believe I was obsessed with painting chilis. The striking woven tapestry and clay pot are both Peruvian. Size: Image 12×18″. Paper size 15×21″.